While neon illumination is still part of today’s sign industry, light-emitting diodes (LEDs) have largely replaced it, both for skeletal ‘script’ designs and inside channel letters. These so-called ‘faux’ neon applications have become increasingly popular because they better meet clients’ requirements in terms of energy consumption and safety, as LEDs are more efficient than neon, do not use mercury, and are less likely to break. 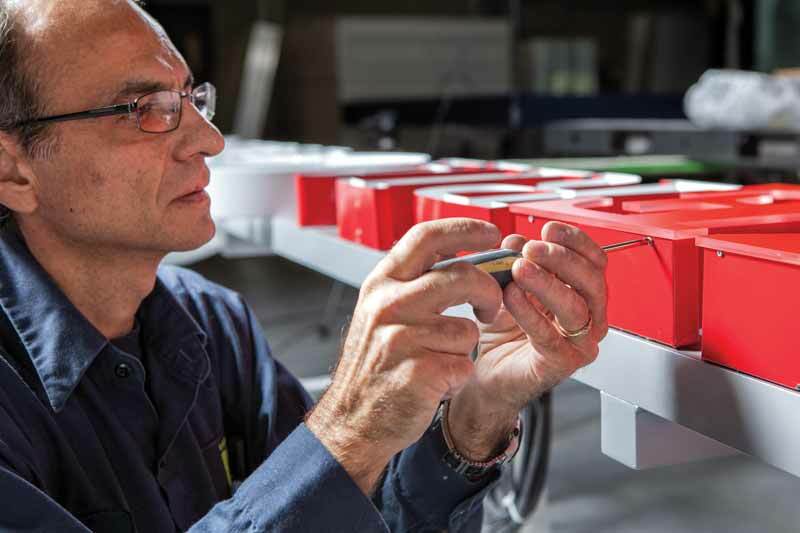 Even as sign shops try to mimic neon with LEDs, however, it is important to consider the differences between the two illumination methods, as such differences will play a role in how signs are engineered for optimal performance. As light-emitting diodes (LEDs) have evolved to become slimmer, they have enabled very thin strokes for a more polished edge and look when installed along the sides of a sign can with a routed acrylic face. LEDs really ‘arrived’ in the sign industry in the early to mid-2000s, but the technology has come a long way since then, thanks to continual research and development (R&D). As a result, client requests for a vintage neon look, without actually using neon, can more feasibly be addressed today. That said, the two technologies are very distinct. And when people look at a neon sign in comparison to an LED-based mimicry, their eye will always pick up which one is not the real thing. The appearance of an LED-based sign might be similar to a neon sign when looking at it straight on, for example, but since LEDs are direct light sources, they cannot achieve a 360-degree circular illumination effect. Their limit, by design, is 180 degrees, which affects viewing angles and shadow effects. Also, the sheer brightness of neon and glass cannot be achieved with LEDs and plastics. On the other hand, as LEDs have evolved to become slimmer, they have enabled very thin strokes for a more polished edge and look when installed along the sides of a sign can with a routed acrylic face. 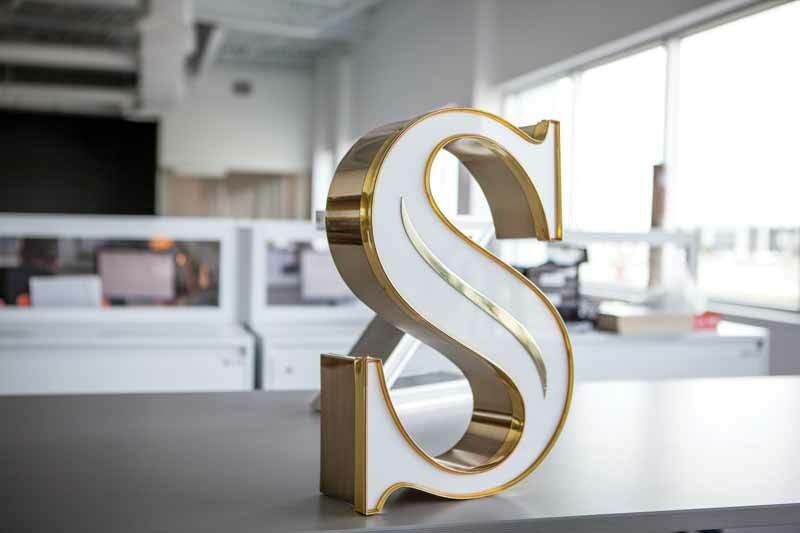 This arrangement can provide a more refined appearance for an upscale client’s sign than the glare of neon, particularly for indoor applications, which tend to be viewed from closer up than their outdoor counterparts. On that same note, an indoor sign is more likely to be within reach for passersby. 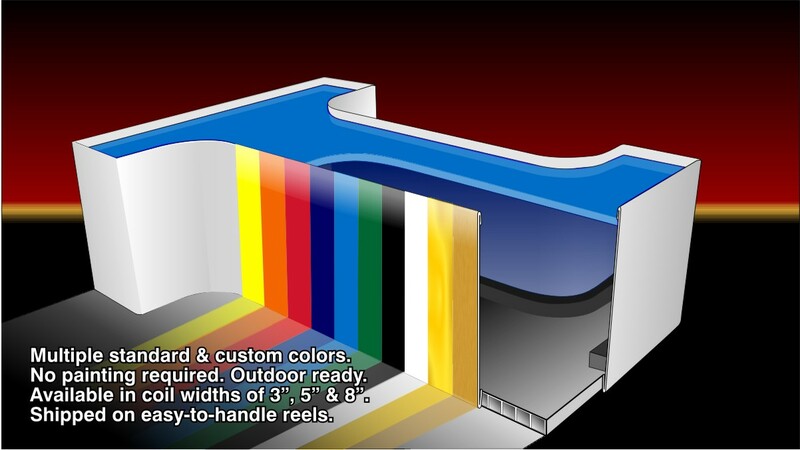 Using LEDs to mimic an ‘exposed’ look for a sign people can touch is a safer option than installing a neon sign that needs to be protected with a polymethyl methacrylate (PMMA) face.